Sir Syed’s legacy is so immense because he played a critical role, at a historic juncture, in the life of the Indian Muslim community. In the aftermath of the 1857 uprising, Muslims were disfranchised, thrown out of their homes in Shahjahanabad and generally looked upon with suspicion. 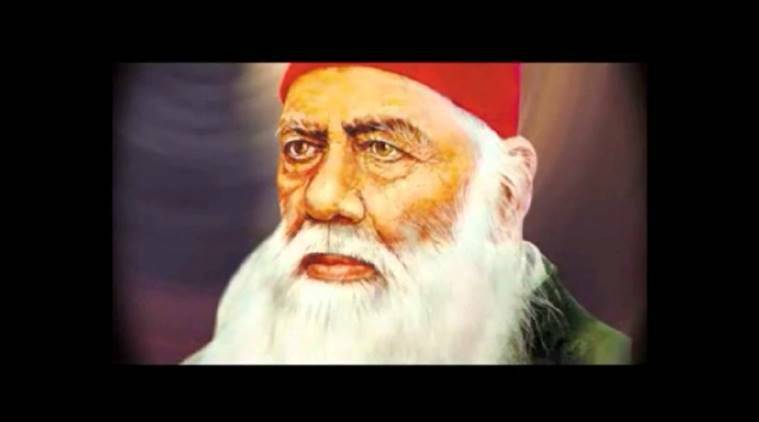 As we celebrate the 200th birth anniversary of Sir Syed Ahmad Khan, the founder of Aligarh Muslim University, as an alumna I realize that although women’s education was not part of his vision at the time, the University over the last several decades has played a pivotal role in the education of Muslim girls. For his time, Sir Syed was a modernist and progressive thinker. As the remnants of Mughal rule crumbled with the debacle that was 1857 and Indian Muslims began to be seen as the perpetrators of the uprising and therefore against the British, Sir Syed realized that education was the key for their rehabilitation. Not any education, though, not the madrassa-led religious education that was a byword in small towns and big cities, but an English education that would allow Muslims to win government jobs and thereby expand their influence inside the newly powerful British India. That is why Sir Syed’s legacy is so immense. He played a critical role, at a historic juncture, in the life of the Indian Muslim community. In the aftermath of the 1857 uprising, Muslims were disfranchised, thrown out of their homes in Shahjahanabad and generally looked upon with suspicion. In 1859, Sir Syed first established a Farsi Madarsa in Moradabad, but soon changed track. Since English was the language also of science and technology, and therefore a method to keep in step with the outside world, in 1863 he opened the Victoria School in Ghazipur, where he was posted. Here, apart from science and history, English, Urdu, Arabic, Persian and Sanskrit were also taught. “Call me by whatever names you like. I will not ask you for my salvation. But please take pity of your children. Do something for them (send them to the school, lest you should have to repent,” he would say. So committed was he that he even performed a skit on stage and recited a ghazal of Hafiz to collect funds for the college. His other friends even sang songs and enacted short plays. This journal was aimed at the social reformation of Muslims. Sir Syed believed that “ijtihad” (re-interpretation of tradition according to changing times) was the need of the hour, while “taqlid” (copying and following old values) should be given up. This is especially important today when the reprehensible acts of a handful of Muslims who indulge in acts of terrorism are confused with Islam. As Sir Syed advised, Indian Muslims have to stop playing the victim card. As we face new challenges and are increasingly being made to feel the “other”, the only way out is to go back to educating ourselves, and a scientific education at that. In the bicentinnial year of this reformist, nationalist and propogator of scientific thought we must take up the cause of education once again. Why is it that a community which accounts for 14% of the country’s population only has 4.4% students enrolled for higher education? Simply devoting time to religious studies is not the way forward.